In The Know With JoJo received samples for free to facilitate this review all opinions are 100 percent my own. Get dad something he will love this year! 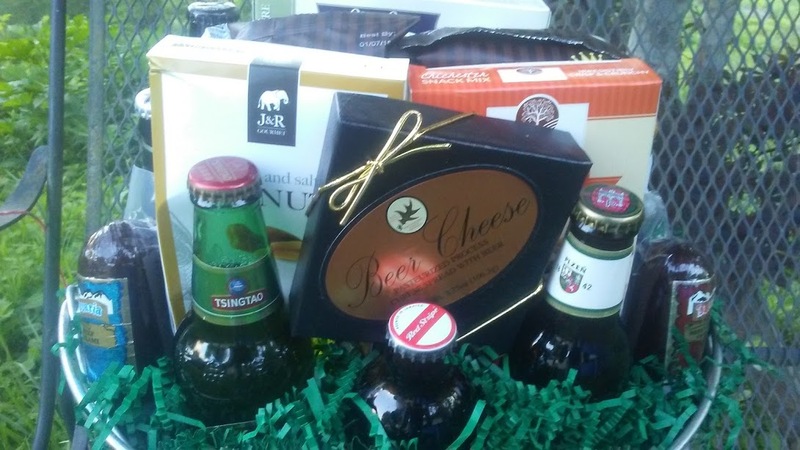 With Father's Day right around the corner check out GourmetGiftBaskets.com they have the perfect Father's Day gifts for every dad from the foodie, the beer connoisseur, to the golfer find dad the perfect gift just right for him! My husband is a typical man he likes food and beer. The Around The World Beer Bucket 12 Beer Sampler has the best of both worlds. 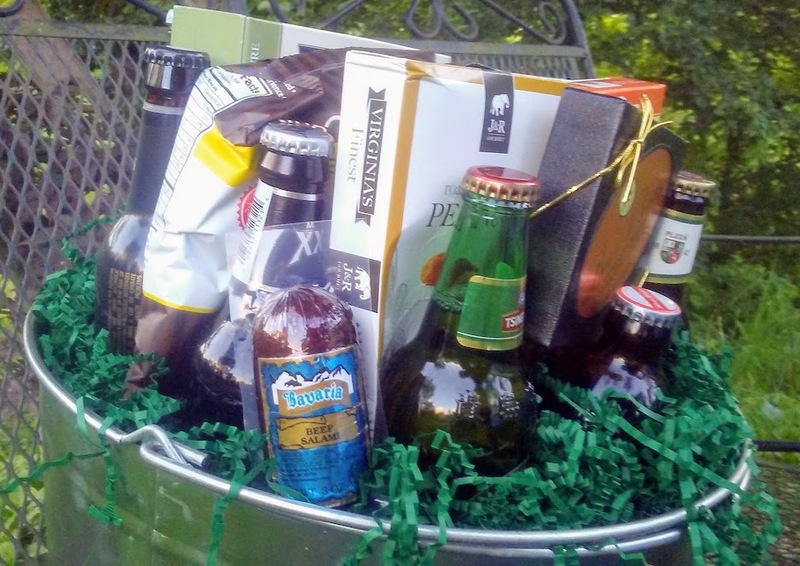 Large Galvanized Steel Bucket - A sturdy galvanized steel bucket with handles, that easily keeps 12 beers cold with the addition of ice. Red Stripe - 11.2 oz. - Brewed in Jamaica since 1938, this flavorful, golden lager has been recognized all over the world for its vibrant taste. Tsingtao - 12 oz. - Created in Qingdao, China, this well-hopped pilsner-style lager has a sweet, nutty taste. Smuttynose - 12 oz. – This smooth and tasty IPA has plenty of hops without the bitter taste. Guinness - 12 oz. - A traditional, dry Irish stout that boasts a uniquely bittersweet flavor, which has made it one of the most successful beers in the world. Corona - 12 oz. - An iconic pale lager that's brewed in Mexico and celebrated for its crisp, refreshing taste. Blue Moon - 12 oz. - A flavorful Belgian-style Wheat Ale with notes of Valencia orange peel and a smooth, creamy finish. Molson - 12 oz. - Smooth and slightly sweet, this Canadian lager is brewed with extra malt and hops for a strong taste. Newcastle - 12 oz. - Beautifully dark amber in color, this robust brew is created in England and has become the world's most famous brown ale. Samuel Adams - 12 oz. - Named the "Best Beer in America," this timeless, full-bodied lager is created using only the finest hand-selected ingredients. Stella Artois - 12 oz. - First introduced to the world over 600 years ago, this exceptional, classic Belgian lager is recognized by its beautiful golden color and crisp taste. Smithwicks Irish Ale - 12 oz. – Dry and balanced with a fantastic aftertaste. Pilsner Urquell - 12 oz. 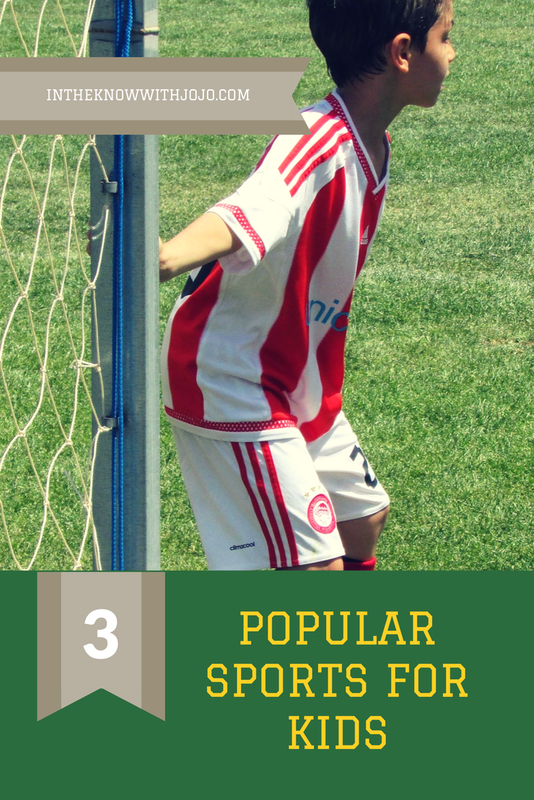 – This Czech beer is one of the best pilsners from any part of the world. Beer Cheese by Northwoods - 3.75 oz. – Delicious cheese spread that pairs well with a variety of snacks. Beef Salami by Bavaria - 3 oz. - Tasty handcrafted Bavaria beef salami, seasoned to perfection! Roasted & Salted Peanuts by J&R Gourmet - 2 oz. - A tasty peanut snack, roasted and salted to perfection. Chichester Snack Mix by Merrimack Valley Snack Company - 2 oz. – A delicious snack mix jam-packed with crunchy pretzel nuggets, cheddar cheese crackers, and premium nuts. Beef Summer Sausage by Bavaria - 3 oz. - This tasty summer sausage amped up with a collection of spices will pair perfectly with your favorite cheese. Honey Mustard Popcorn by KingOfPOP.com - 1.1 oz. – This gourmet popcorn perfectly encapsulates the sweet taste of honey and the tangy taste of mustard all in one bite. Deli Style Hors d'Oeuvre Crackers by Partners - 2 oz. - Exquisitely crisp crackers that are fashioned out of the finest all-natural ingredients and seasoned with sea salt and hearty olive oil. We loved every item! There honestly wasn't one thing we didn't enjoy in the bucket including the bucket! I love how you can reuse and repurpose the bucket! It is perfect for storage, decor or even plating a plant for your porch in. Our favorite items were the beer cheese and the beef salami but the popcorns and the beef summer sausage ran a close second. The selection and variety of beers included in the bucket were amazing. You literally are trying a selection of beers from around the world. It is a fun gift and one dad will love! My husband truly enjoyed his gift! They also have amazing gourmet gifts and popcorns. 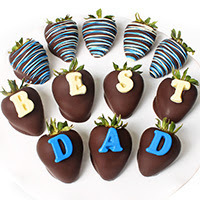 If dad isn't much into driking and would rather have a sweet or salty snack check out the Best Dad Berrie's pictured above. Their berries are truly delicious! They are heavily dipped in chocolate and taste amazing! The Father's Day Backyard Popcorn Sampler is also perfect for dad. Try out 10 summer backyard bbq inspired popcorns in this amazing gift!